Dulux Colour Futures™ from AkzoNobel have once again come up with what they think the colour trends for 2019 will be, they have compiled a colour of the year with supporting colour palettes. They have selected a range of colours they think will be the trend throughout 2019, this year the theme is “Let the light in”. 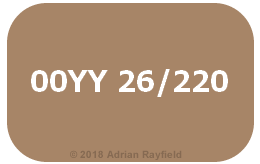 The colour of the year 2019 is…… 00YY 26/220 (also known as Spiced Honey). If you would like to use the colour of the year (00YY 26/220) or any other colour you need to buy and need to work out how much you need to buy, use our FREE Paint Calculator. Video from Dulux YouTube channel. Dulux Colour Futures™ from AkzoNobel have for the 15th year come up with what they think the upcoming colour trends for 2018 will be, they have selected a range of colours they think will be in trend throughout 2018, this year it consists of a beautiful warm pink, chosen by the colour specialists at Dulux Global Aesthetic Centre. The colour of the year 2018 is…… 10YR 28/072 (also known as Heart Wood). I recently followed a company on Twitter (@PaintSoap) and I was asked if I wanted to try some of their product. Me, not being one to turn down the opportunity of trying out products I said yes. Paint Soap is based in the USA but were happy to send me some samples to the UK. They currently do not sell in the UK but they are hoping to start selling in the UK by the end of 2017. About a week later a package arrived with the samples of Paint Soap for me to try. I was keen to give it a go and used it a couple of times on my next job. I liked the idea of being able to leave the brush to ‘clean itself’ as it soaked in the product, leaving me time to carry on with what I needed too. After a few minutes of soaking I returned with anticipation to see how well the paint soap did, I removed the brush from the Paint Soap and rinsed it out, it was clean, and used a lot less water than I normally would have. So what do I think of Paint Soap? Paint Soap worked well and I like the idea of what is stands for, it saves time, saves money and your brushes, it is also eco friendly and the residue that is left can be disposed of safely as it is non toxic. 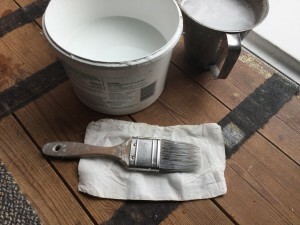 This product will only work on water based paints, such as emulsions, so no oil based products, and will not clean out dried paint as it reacts with the wet paint. So you can’t leave your brushes to dry out before cleaning them, but that goes with all paint tools. So this product can save you, and your client water if you wash brushes out on the job. 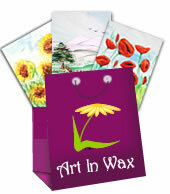 It can save you time as you can leave brushes to soak whilst carrying on with your work. And it cleans out the paint from your brushes easily and effortlessly. To see the rest of my videos, visit my channel on YouTube. archives of the Resources category.